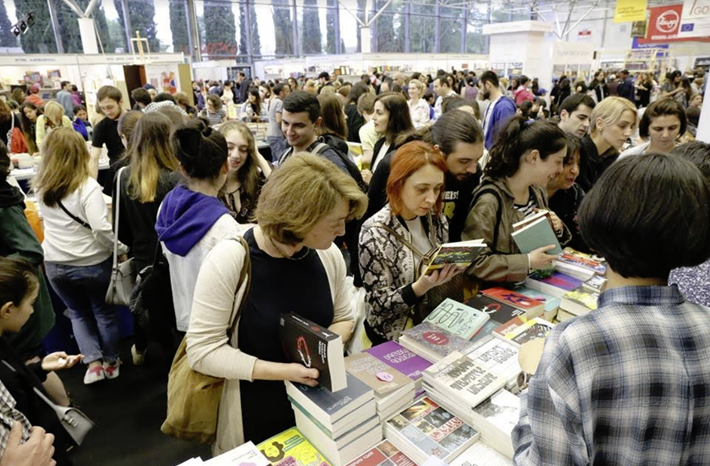 Citing new pressure from Moscow with a competing copyright organization, the chief of the Georgian Publishers and Booksellers Association is calling for support from the world industry. The chair of the Georgian Publishers and Booksellers Association in Tbilisi has alerted Publishing Perspectives to a new campaign against what appears to be a threat to the integrity of the former Soviet satellite’s copyright system. 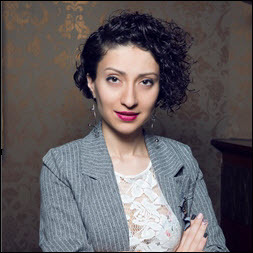 Gvantsa Jobava—familiar to many readers of Publishing Perspectives as a the key figure in the Georgia Guest of Honor program at the 2018 Frankfurter Buchmesse—reports that the Russian Copyright Organization (RAO, called the Russian Authors Society) appears to be ratcheting up its competitive pressure on the Georgian Copyright Association (GCA). 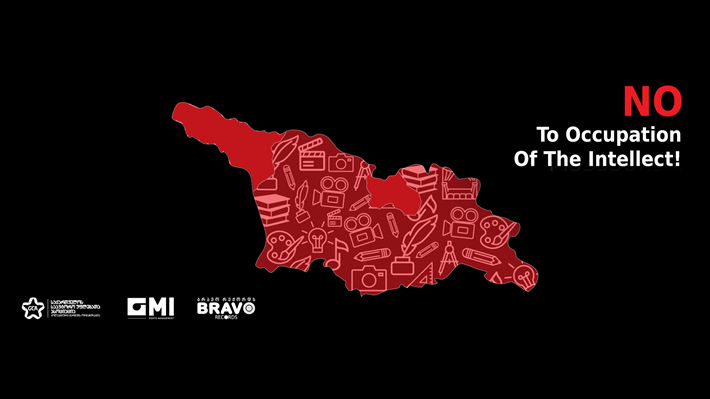 In response, the Georgian Copyright Association is joining forces with players in the music sector—Bravo Records and GMI Management—to make a stand for the independence of the nation’s inventory of copyrights. The campaign is called “No To Occupation of the Intellect.” That name, of course, reflects the fact that some 20 percent of Georgian territory—Abkhazia and South Ossetia—has since 2008 been occupied by Russia. 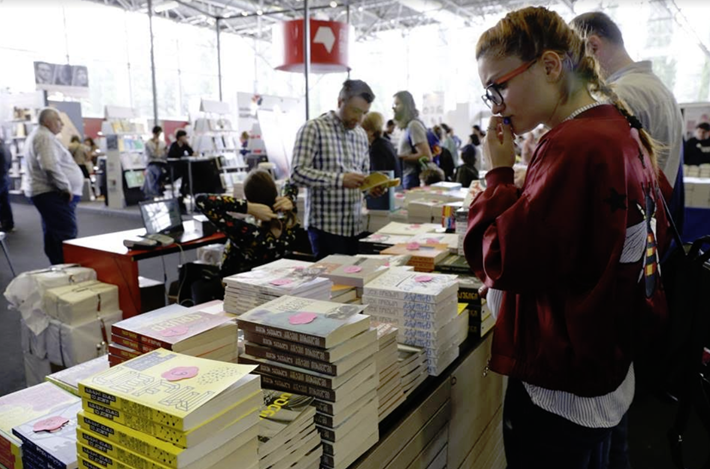 The situation becomes a new entry in the growing list of efforts seen in many parts of the world today to challenge copyright protections for rights holders in the literary and sister arts. From Canada’s Copyright Modernization Act to South Africa’s Copyright Amendment Bill, the creative industries have been shaken by various legislative attempts to weaken rights holders’ status, often through the development of copyright exceptions that make it easy for bad actors in the digital age to copy and disseminate copyrighted content without payment to its rights holders. In this case, the mechanism of the threat isn’t legislation but the creation of a competing collective management organization, or CMO, as such an entity is known. If you’re unfamiliar with CMOs and how they work, Copyright Clearance Center has a useful video explainer. The background to the current alarm is somewhat complicated and involves a difficult dance of organizations, most of them established as non-governmental and, like NASA, known better by their acronyms than by their actual names. An entity called the Confederation of Rights Holders’ Societies in Europe and Asia (CRSEA or, in Georgia referred to as EACOP) was established in 2017 as a kind of umbrella organization for the copyright-revenue collection management organizations in Russia, Belarus, Azerbaijan, Kyrgyzstan, Kazakhstan, and Armenia. This confederation has been recognized by WIPO, the World Intellectual Property Organization, as recently as last August as an international non-governmental organization with permission to send observers to WIPO’s assemblies. The Georgian publishers association, however, sees that confederation, which has its offices in Moscow, as having been created to compete with another such umbrella organization, CISAC, the International Confederation of Societies of Authors and Composers. Founded in Paris in 1926, CISAC is a fully recognized non-governmental operator on the world stage, a network of authors’ societies for the express purpose of copyright protection and the promotion of creators’ rights. The Georgian Copyright Association is a aligned with CISAC, as are close to 240 such copyright societies. 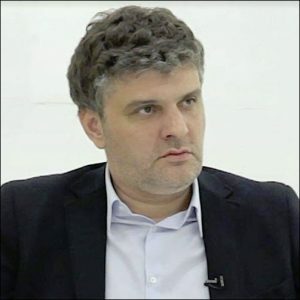 Georgian Copyright Association’s chair Giga Kobaladze tells Publishing Perspectives that after the Moscow-based CRSEA was formed, it began pressuring the Georgian Copyright Association to join. If it were to join the Russian confederation, he and the publishers’ association maintain, “this would weaken the Georgian Copyright Association’s position internationally and would be an obstacle to the development of the copyright field,” the growing number of copyrights in Georgia. “We’re running an active information campaign to reach all the artists and international community,” Kobaladze says, “to let them know the danger we’re facing and to ask for their support. As Frankfurter Buchmesse trade visitors know from October’s Georgia Guest of Honor program, the country’s literary heritage and its unique alphabet are among the population’s most treasured assets, and one of the constructs by which Georgians define the distinction of their culture on the international level. They are fiercely protective of their language and of the works they create with it. The Georgian Copyright Association was created in 1999 as a collective management organization for authors’ and performers’ rights, and unsuspecting players in the music industry are seen by the publishers association as potentially vulnerable to overtures from other such organizations. Currently the Georgian Copyright Association represents the rights of more than 5 million authors who work in some 150 countries. And Jobava says that while the Georgian Copyright Association’s Kobaladze last week “received a very important official letter of support from CISAC, the publishers and booksellers association is planning to assist the copyright association in generating as much international support as possible. “Of course, we’ve already officially informed the heads of the International Publishers Association (IPA) about the unpleasant news that’s taking place in Georgia just now,” Jobava tells us. The letter from CISAC is dated March 14 and is written to the Georgian Copyright Association’s Kobaladze by CISAC’s regional director for Europe, Mitko Chatalbashev. The letter offers unequivocal assurance from CISAC’s offices in Neuilly sur Seine that the Georgian copyright collective management organization is the only such body recognized to perform its functions. Chatalbashev’s letter also offers helpful insights into the East European region’s problems with solid copyright protection being “the exception rather than the rule.” He refers to the confusion in Ukraine resulting when almost 20 collective management organizations were active. Kiev enacted a law last July to try to quell what Chatalbashev calls “the appalling situation of some 19 CMOs operating,” most of them suspected of being rogue agencies. He also refers to a 2008 reform measure in Russia, itself, which attempted to put the brakes on an unlimited number of societies claiming to be legitimate collectors of copyright revenue. The letter to the Georgian Copyright Association closes by reiterating its support for Tbilisi’s position of independence and its existing copyright collective management regime, in alignment with “best European and international practices in copyright.” In short, stay the course. Kobaladze says his copyright association has had that support not only from CISAC but also in letters from BMI in the United States, ABRAMUS in Brazil, UACRR in Ukraine, UCMR ADA in Romania, and others. “At this stage, Kobaladze says, “we haven’t approached WIPO or Copyright Clearance Center, but we’ve notified three umbrella organizations in the sphere of collective menagement”–IFRRO and SCAPR as well as CISAC. Jobava was made a member of the International Publishers Association’s executive committee in October and will be at the next round of WIPO “SCCR” or Standing Committee on Copyright and Related Rights meetings, April 1 to 5 in Geneva. “I think the other participants in the WIPO sessions will be interested to hear from our Georgian delegation about the Russian attempts at intellectual occupation. We think that the support of international organizations working actively on copyright issues will be very important to avoid the results that Russian aggression has already gained in Ukraine several years ago, acting in much the same scenario” and leading to that state’s proliferation of agencies. To the occupation-weary Georgian publishers, authors, and other artists who are rights holders in that country’s copyrighted content, the signals are clear. Jobava talks of “creeping occupation” beyond the land Moscow controls. Below is a video produced for the “No To Intellectual Occupation” campaign, in Georgian. More from Publishing Perspectives on Georgia is here, and more on world copyright issues is here.